Eastern Bengal Company Machine Gun Challenge Cup. Won by Armenian, Ruben David. Ruben David arrived in Dhaka at the age of 17 from Julfa. 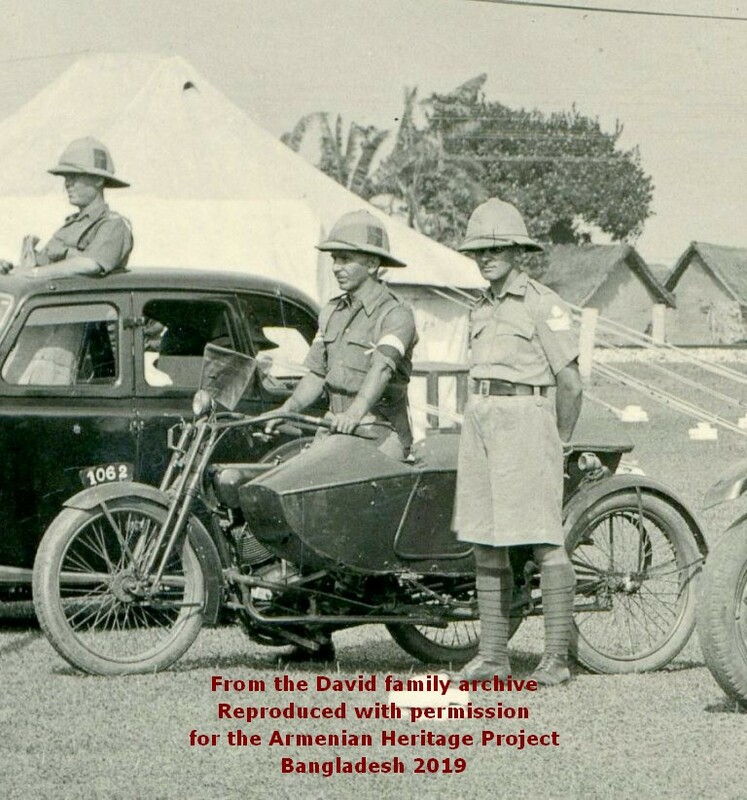 He was a nephew of the Armenian priest Ter Nerses David and lived with him and his family at the Armenian Church. 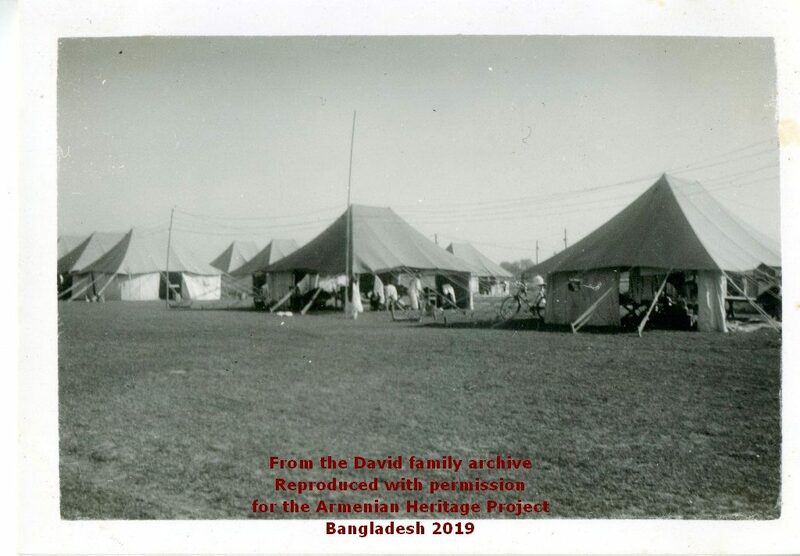 A few years later, Ter Nerses’s brother Ter Bagrat and his family took over as Priest at the church and Ruben continued to live with them at the Parsonage. 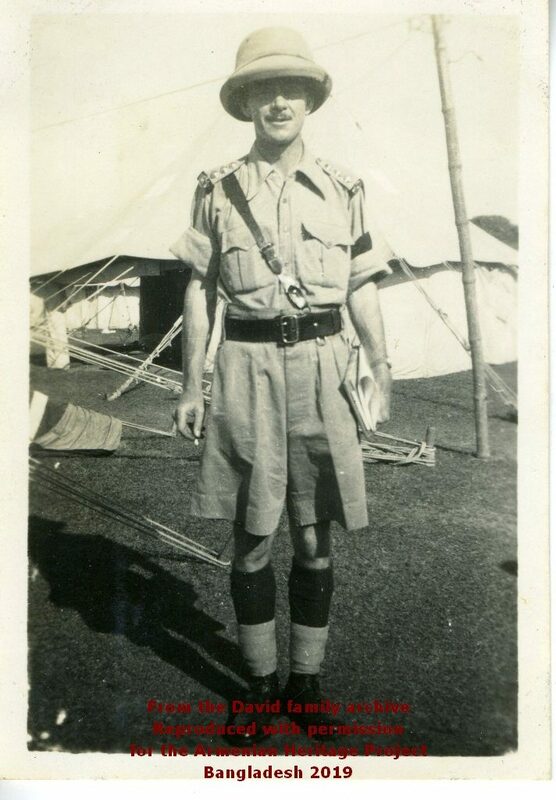 During the outbreak of WW2 Ruben joined the Eastern Bengal Company, a voluntary home guard unit in Dacca. Originally the Chittagong Volunteer Rifles was absorbed by the Eastern Bengal Volunteer Rifles. The Rifles eventually became the Eastern Bengal Company, their badge being a Crocodile. Eastern Bengal Volunteer Rifle Corps was raised on 23rd January 1901 by the British Empire in India. It was later re-designated as the 41st Eastern Bengal Company and the Eastern Bengal Company. 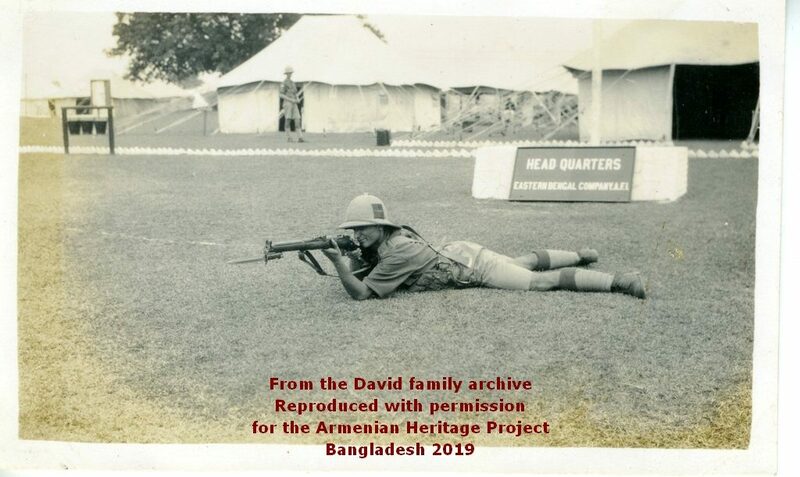 The Eastern Bengal Volunteer Rifle Corps had their headquarters at Dacca, and were also known as Eastern Bengal Company An erstwhile British Indian Infantry unit which operated under the Volunteer Corps of the British Indian Army. The auxiliary regiment was a part of the Bengal Army of Bengal Presidency as well as the Bengal Command. The regiment was raised on 23rd January 1901 by the British Empire in India. 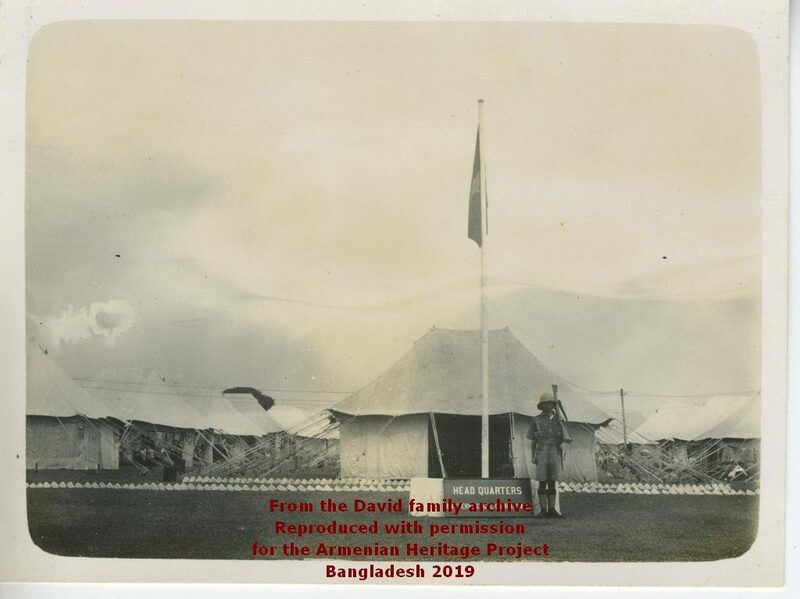 It was formed by the amalgamation of the Chittagong Volunteer Rifle Corps and the Dacca Volunteer Rifle Corps. 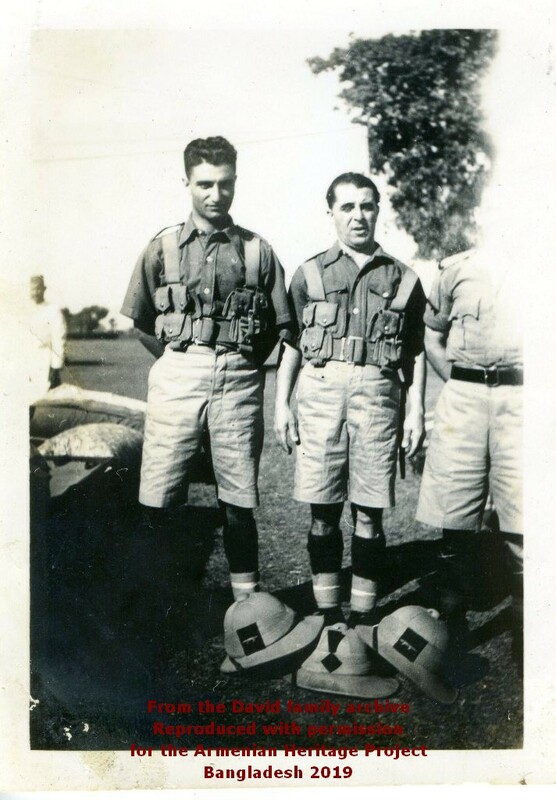 The uniform of the troops of Eastern Bengal Volunteer Rifle Corps included khaki drill formals. The detached companies of the regiment were posted in the army bases at Feni, Comilla, Chittagong, Barisal, Chandpur, Mymensingh and Narainganj. 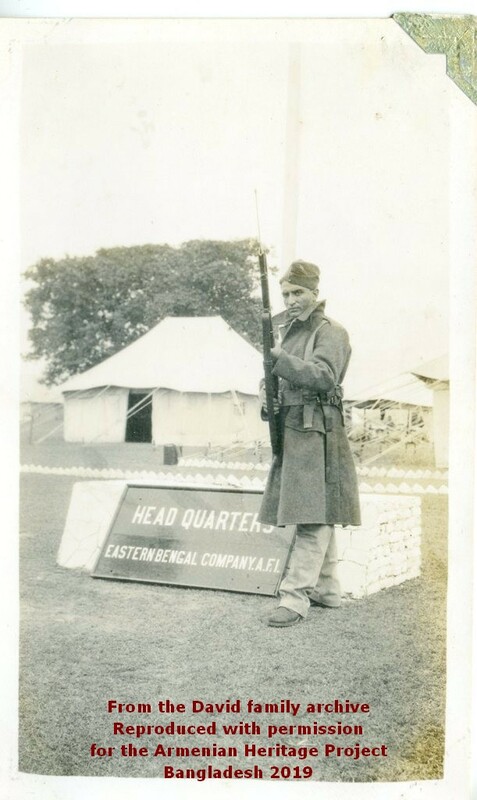 The battalion was re-designated as the 41st Eastern Bengal Company on 1st April 1917. 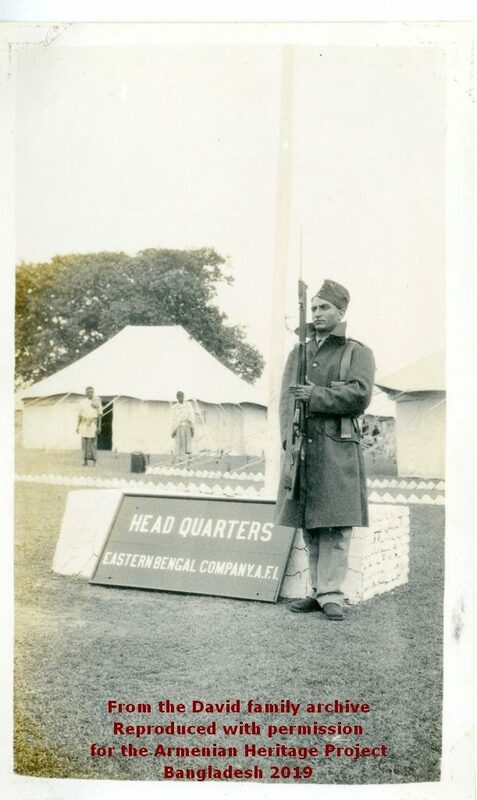 Later it was renamed as the Eastern Bengal Company on 1st October 1920. 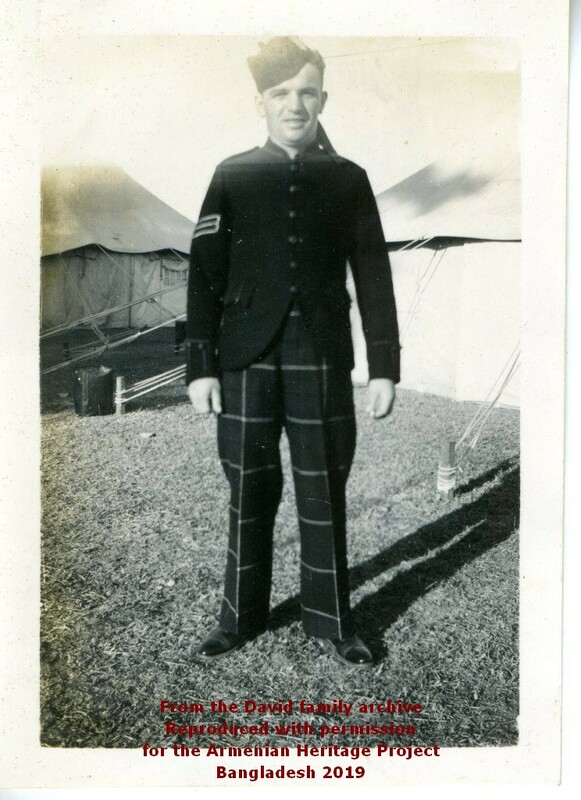 The uniform was modified in 1940 and included khaki formal dress with yellow facings. The military badge included the image of a crocodile and the motto “Vis Et Tenax”. 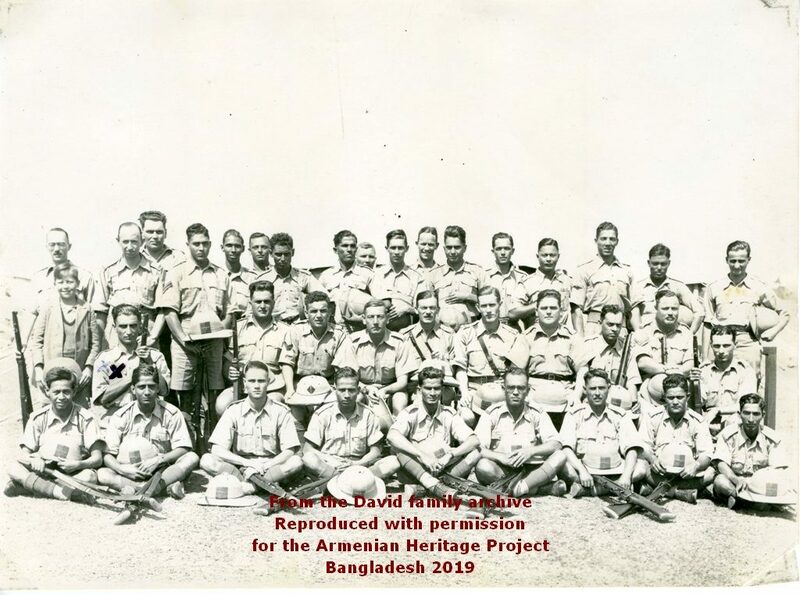 Although the community in Dacca was small, the Armenians from the city made up a large proportion of the men to who signed up to the 63rd Eastern Bengal Rifles. They were tasked with supporting the 1st Garrison Battalion, Manchester Regiment at Poona and Kirkee between 1st January and 30th June 1918. 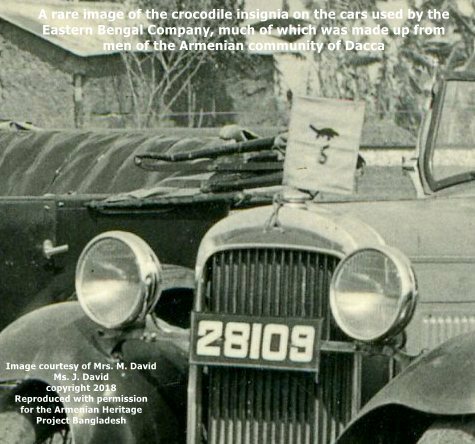 The Armenians involved were: M.M. Agabeg, C.C. Apcar, H. Apcar, S.J. Apcar, M. Avdall, L.N. Gasper, G.C. Gregory, H.T. Isiah, V.A. Lucas, C.O. Mackertich, D. Mackertich, G.J. Mackertich, E.S. Mackertich, C.A. Manuk, M.M. Minas, J. Nazar, A.G. Peters, G.T. Thorose, J. Vertannes, M.K. Stephens. 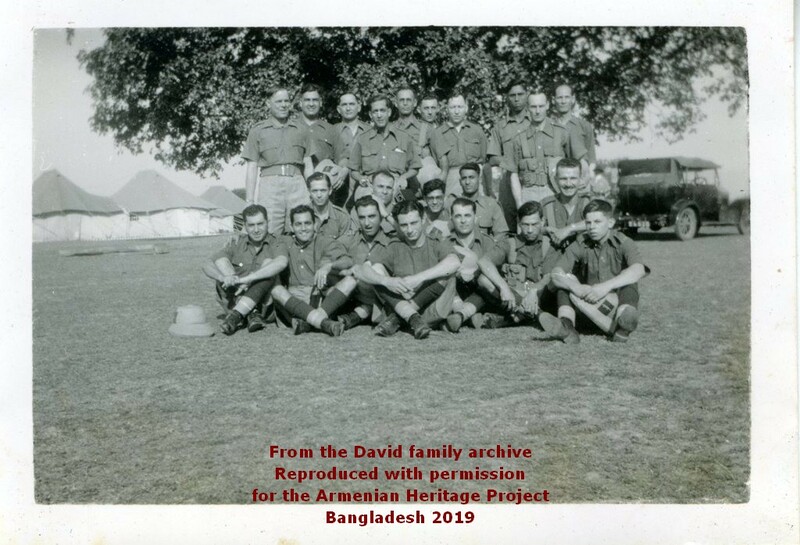 A full list of names of those who served in the Eastern Bengal Rifles in Dacca can be found here. Carapiet Chater Apcar (C.C. 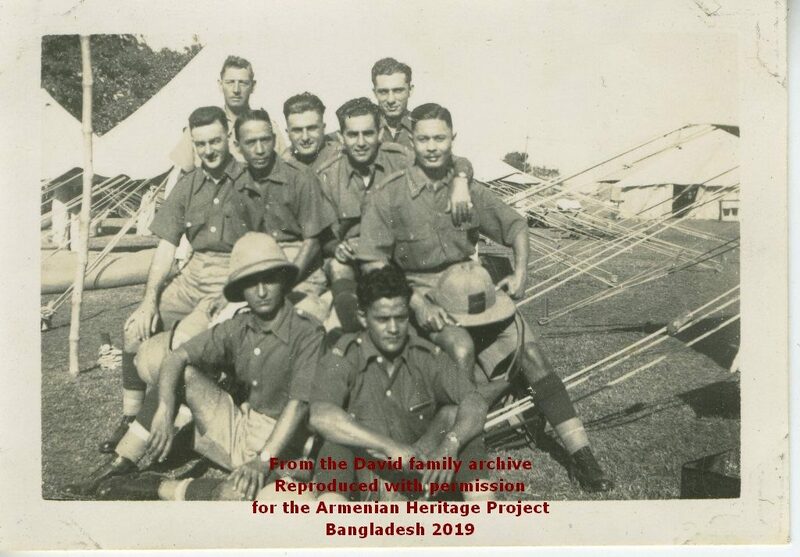 Apcar above) not only was in the Volunteers at Dacca during WW1, he continued as a volunteer in Dacca after the war and into WW2. Two military awards are featured in British Army, Indian Volunteer Force medal awards 1915-1939, the Volunteer Forces Long Service Medal & Good Conduct Medal and the Efficiency Medal. 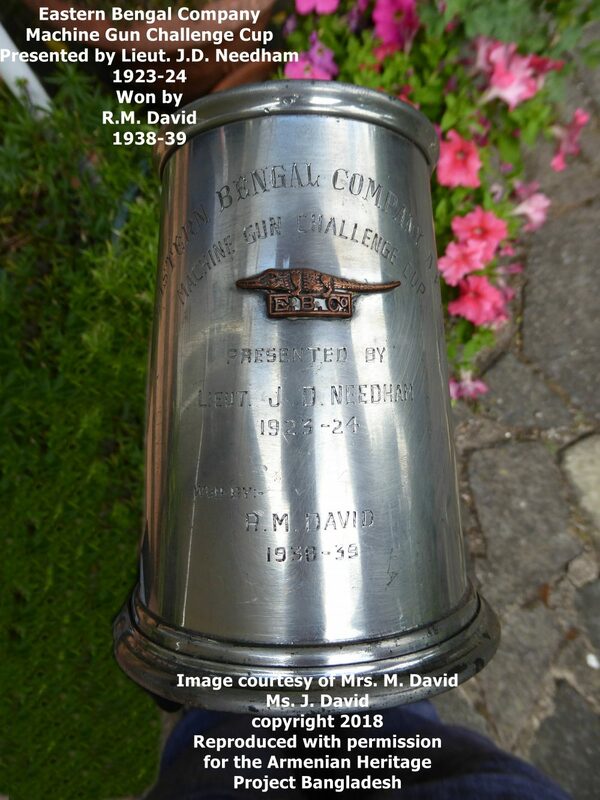 The records show over 15,000 individuals from the Indian Defence Force (IDF) or the Auxiliary Force India (AFI) who were awarded the medals between 1915 and 1939. 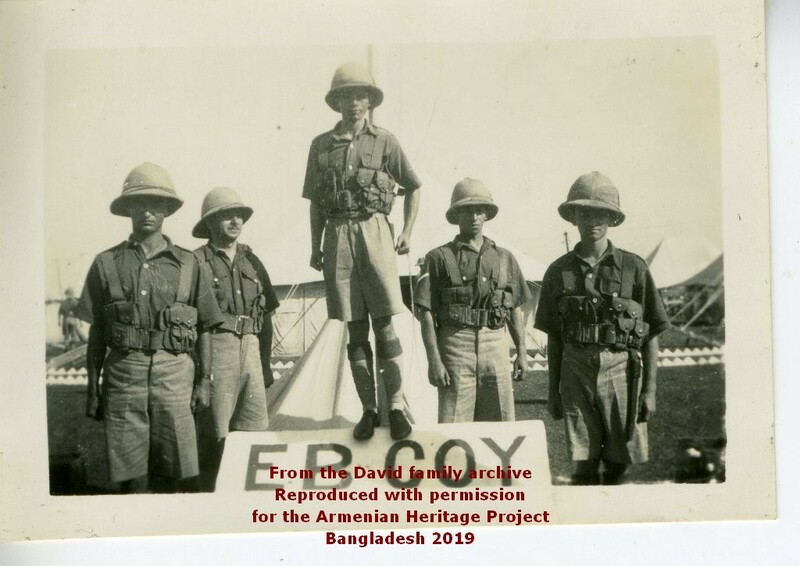 The IDF and AFI were India’s equivalent to the UK’s Territorial Army, which was comprised of part-time regiments of European soldiers who could be fully mobilised in wartime. Prior to 1920, the IDF and AFI were known as the Indian Volunteer Force (1857-1917). 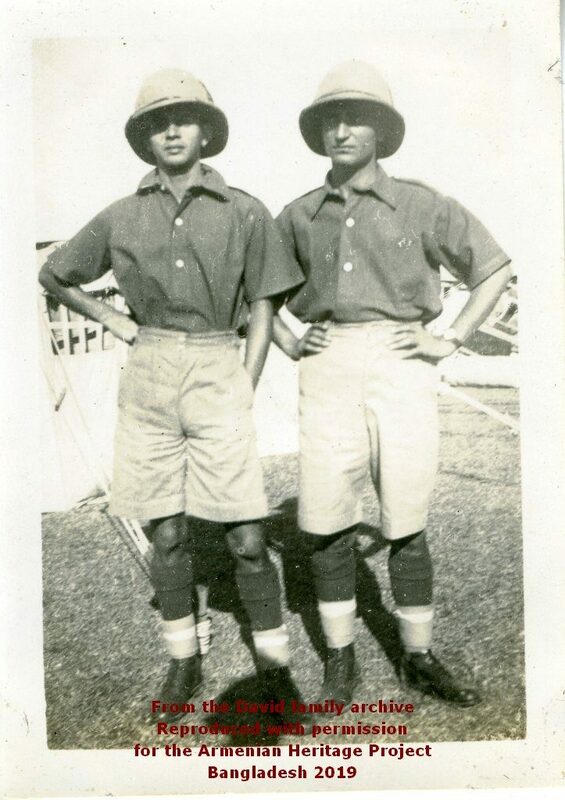 During the First World War, most of the Indian Volunteer units were stationed in India on internal security assignments. They became a part of the umbrella organisation Indian Defence Force (IDF) in 1917. The IDF was disbanded after the war but voluntary service continued through the Auxiliary Force from 1920 onward. 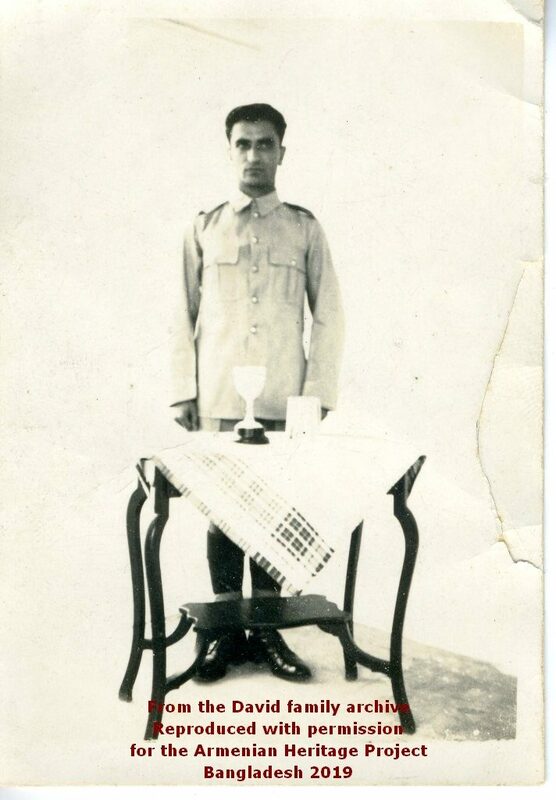 Carapiet Chater Apcar was promoted to the rank of Sergeant with the Eastern Bengal Company A.F.I. 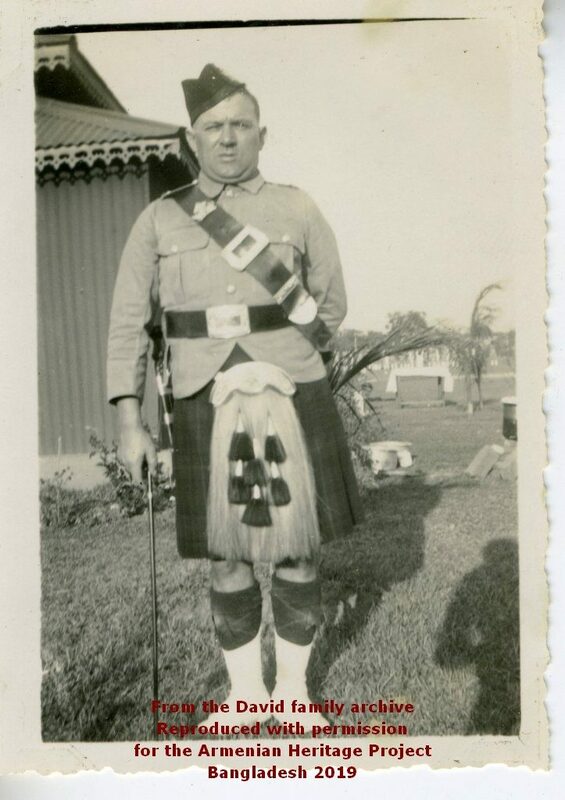 and on the 29 April 1930 he was awarded the Volunteer Long Service and Good Conduct medals. 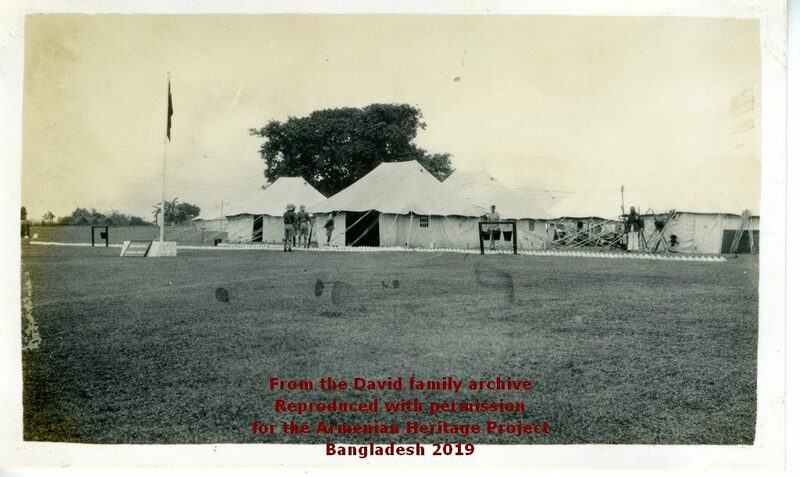 These exceptionally rare images of the Eastern Bengal Company Headquarters in Dacca between 1937 and 1942 are from the albums of C.C. Apcar’s family in London. 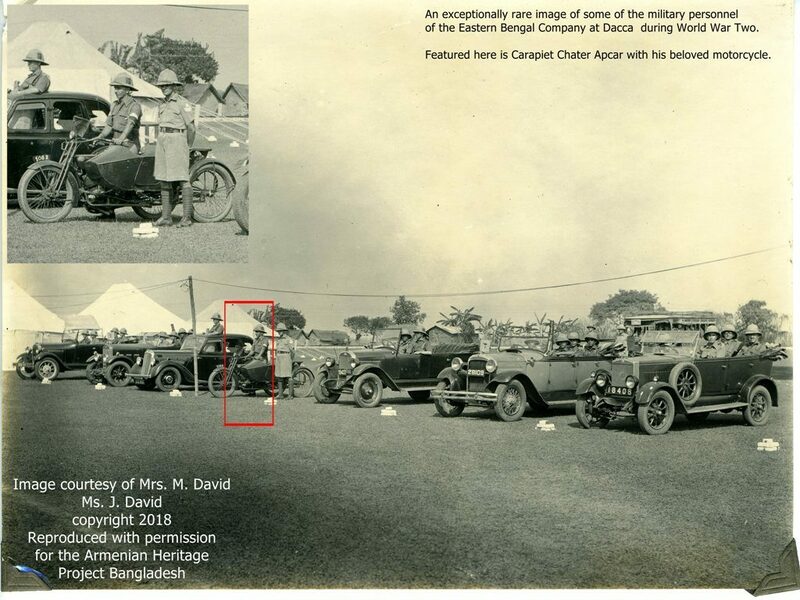 Carapiet Apcar was a very keen photographer and can be credited with recording numerous events and occasions in and around Dacca. 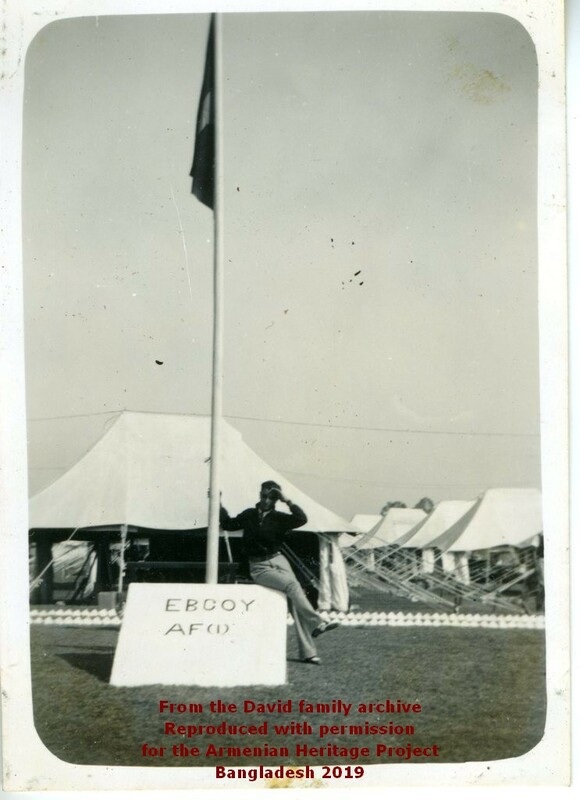 He took the majority of these images during the war at the camp headquarters and these have never been seen in public before now. It was always thought that no images existed of these volunteers. 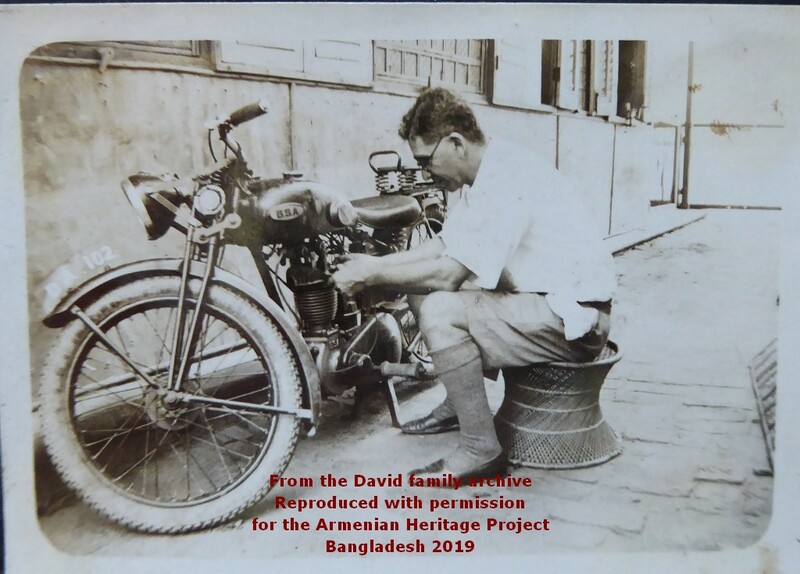 A rare image of Carapiet Chater Apcar in the Eastern Bengal Company with his favourite motorcycle and side-car. 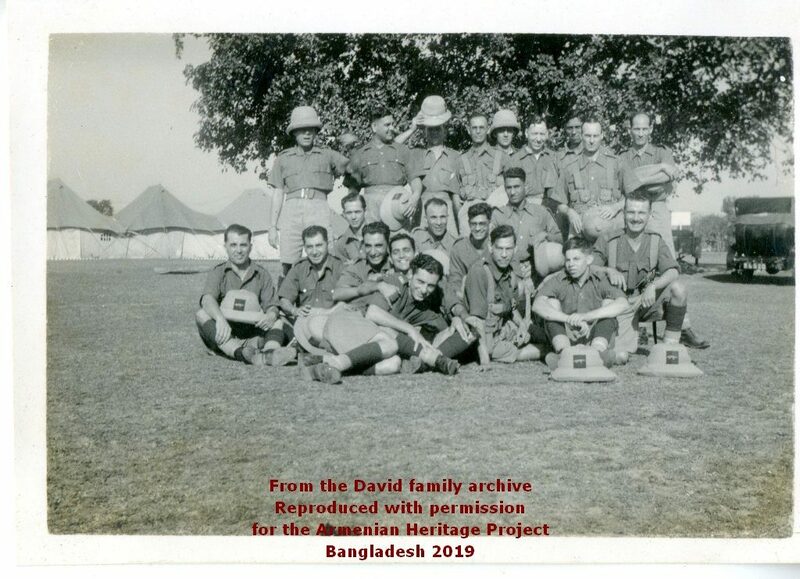 Ruben David and others from the Eastern Bengal Company, Dacca. 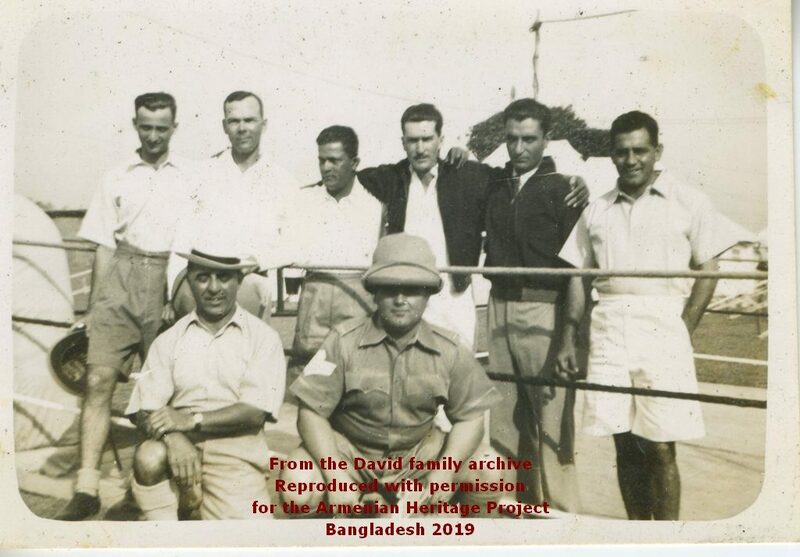 Ruben David and others from his regiment at the Eastern Bengal Company Headquarters in Dacca. Eastern Bengal Coy Headquarters tent. Ruben David posing with his rifle.